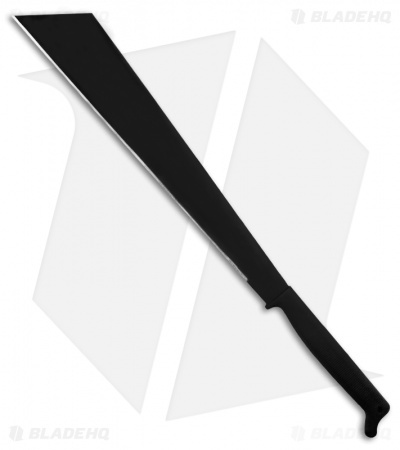 The All Terrain Chopper is a high-performance tool that will out-cut many Machetes. It features a big, wide, slant-tipped and fully sharpened 1055 carbon steel blade that has a black baked on anti-rust matte finish. 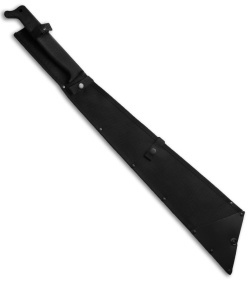 The 9" long polypropylene handle allows for great grip and comfort. With the Cor-Ex sheath the All Terrain Chopper can be worn either slung over the shoulder or across the back in its weight-distributing carry sheath.